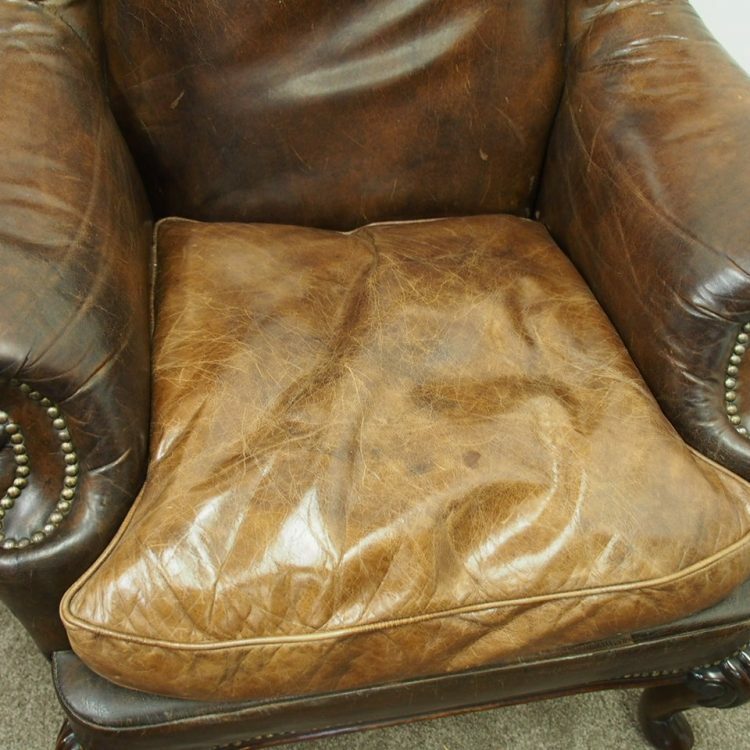 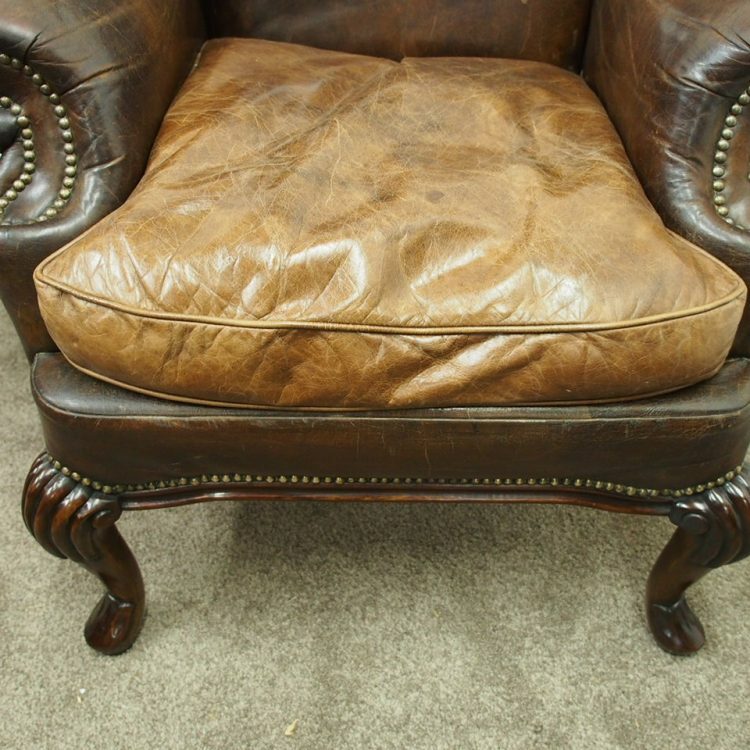 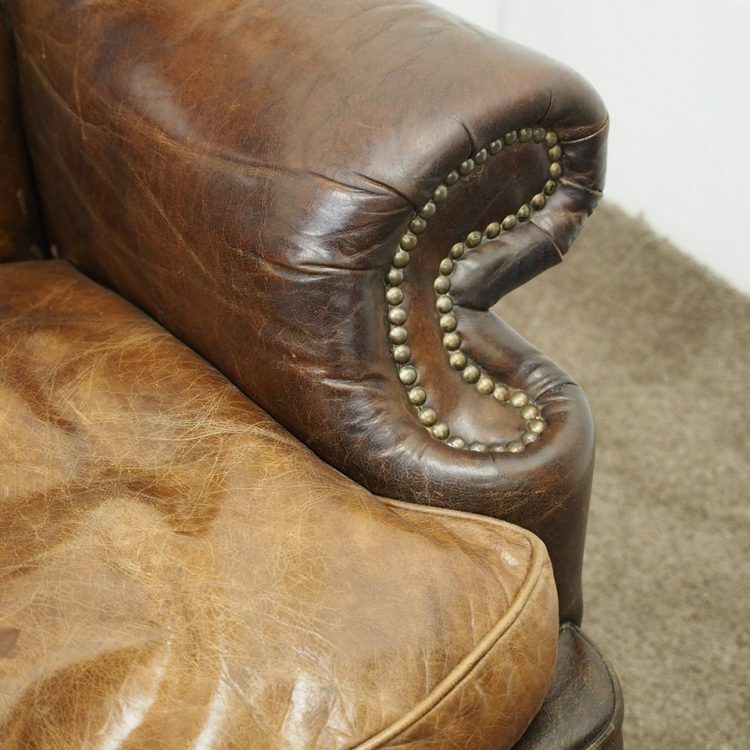 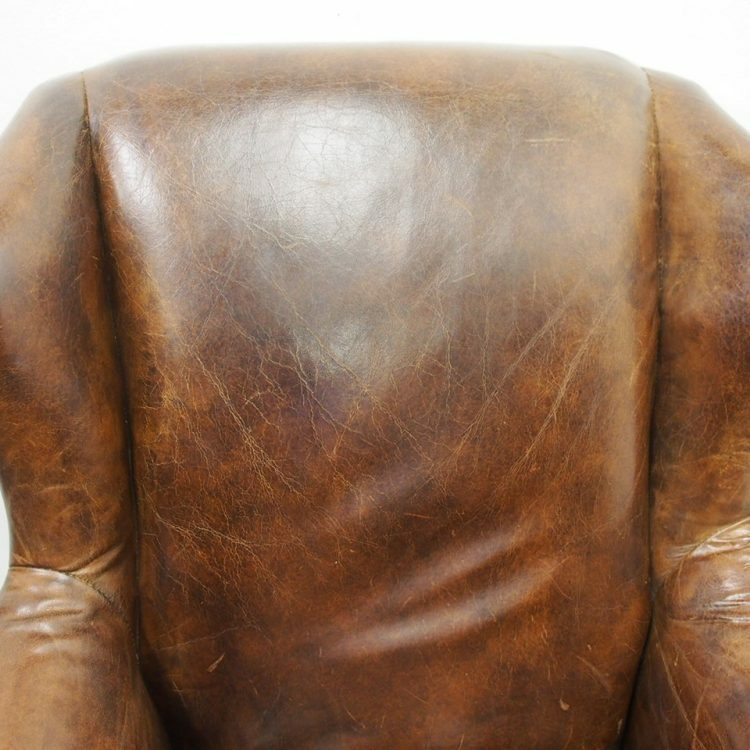 Circa late 1900s, George III style wing armchair upholstered in brown hide. 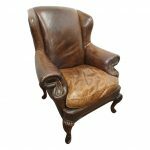 With winged back and shaped arms that are fitted with close brass studs. 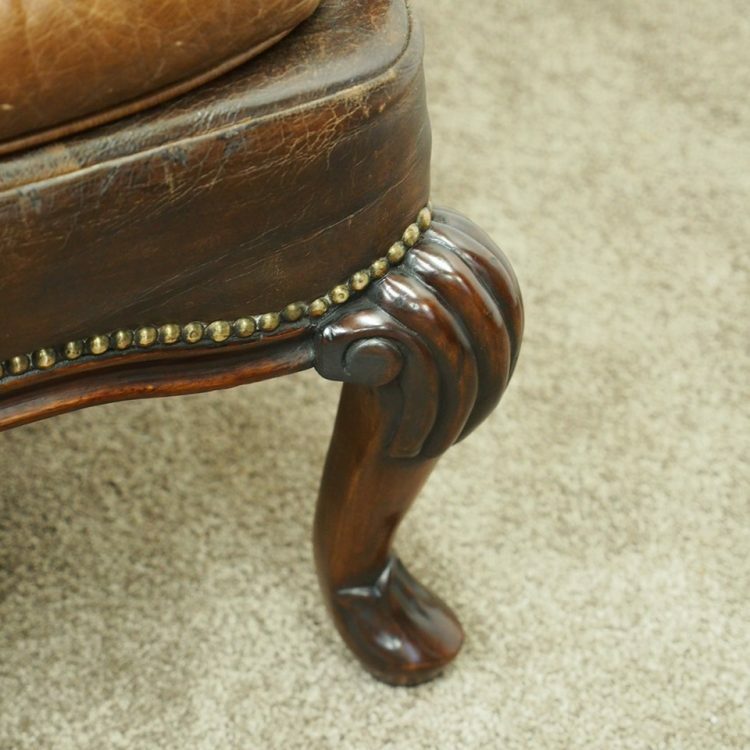 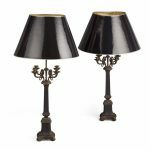 It has a removable seat and fluted shaped rail beneath this, all supported on cabriole legs with fluted and foliate carving.